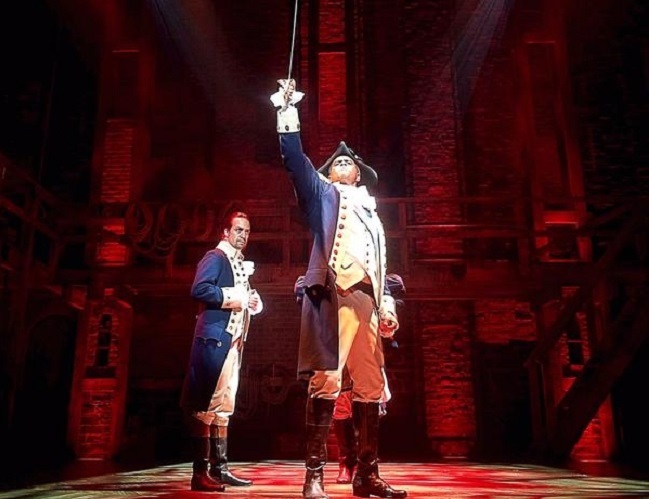 Christopher Jackson (center, as George Washington) and Lin-Manuel Miranda (as Alexander Hamilton) in the Broadway musical Hamilton. Photograph posted on Twitter by David Korins, the show’s set designer. In a profile of George Washington written fourteen years after his death, Thomas Jefferson recalled, “His temper was naturally irritable and high toned but reflection and resolution had obtained a firm and habitual ascendency over it. If ever however it broke its bonds he was most tremendous in his wrath.” During his own term as president John Adams found himself on the receiving end of that wrath when he brought Washington out of retirement to lead a fledgling U.S. Army against the French. As tensions mounted between the two countries during the 1790s (climaxing in what became known as the Quasi-War), fears of an invasion by French forces increased. In early July 1798 Washington made it known privately that, if Alexander Hamilton were his deputy, he might be willing to come out of retirement to defend the country against France. Adams subsequently appointed Washington as commander-in-chief of a new army created by Congress to resist the threat—but he did so without consulting the retired general, who learned of his confirmation from accounts in the press. The Secretary of War, James McHenry, subsequently delivered the commission to Washington, who in the end decided to accept the appointment. As Ron Chernow writes, “Adams had asked McHenry to sound out Washington on his preferred officers without realizing that Washington would regard his advice as binding. . . . Here lay the dilemma in a nutshell: neither Hamilton nor Washington would serve without Hamilton being the main deputy, while Adams found this intolerable.” Washington thus indicated that his chief officers should be, in order, Hamilton, Charles Pinckney, and Henry Knox—even though the latter two outranked Hamilton, who was merely a colonel during the Revolution. In addition, Adams simply detested Hamilton. 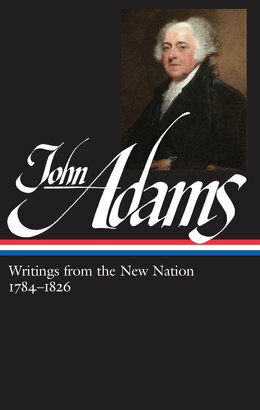 As he later wrote, “His origin was infamous; his place of birth and education were foreign countries; his fortune was poverty itself; the profligacy of his life—his fornications, adulteries, and his incests—were propagated far and wide.” And so Adams exercised his prerogative as President and recommended to the Senate that the order of the ranking be reversed. That decision whipped up Washington’s indignation, and he sent a harshly worded letter to Adams in late September. In the face of his predecessor’s anger, Adams was left with little choice but to acquiesce. And so Washington, with Hamilton as deputy, traveled to Philadelphia in November to direct planning of the new army. By December 19 he was back in Mount Vernon, and the easing of rancor between France and the United States the following spring allowed him to return semi-permanently to retirement. Most of the command duties were carried out by “General Hamilton,” who almost singlehandedly created the new army—which only increased the belief by some civil leaders that he meant to spearhead some “mischievous plot” against Adams. 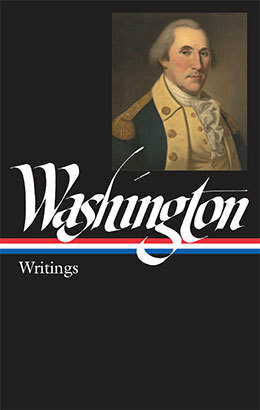 For this week’s selection, we present three pieces of correspondence that detail this story: Adams’s short missive informing Washington of his appointment, followed by Washington’s gracious acceptance and, two months later, his angry follow-up letter upon learning his assignment of officers had been countermanded. There was a sequel to this kerfuffle: After Washington’s death on December 18, 1799, Adams refused to elevate Hamilton to commander of the Army and instead left the position unfilled. Still saddled with the responsibilities—yet still without the honor—Hamilton saw what was coming and wrote to an ally that it was “certain that my present station in the army cannot very long continue.” In May 1800, to Adams’s relief and with his encouragement, Congress disbanded the army that Hamilton had built over the previous two years—an act that unleashed Hamilton’s fury toward the President and cemented a mutual antipathy that carried over into the next election and beyond.